The Age of Creativity Headline Conference is all about responding to the future of creativity and ageing well across the life course. Our main event presents a series of provocations by professionals from a wide range of sectors, generating rich and interesting discussions. To support this, we are seeking two creative professionals from different artistic specialisms to respond and reflect to these discussions on the day. The programme for the day will be based on the new Age UK Creative and Cultural Inspiration Pack due to be launched in May 2019 as part of the Age of Creativity Festival. WHAT IF... CREATIVITY LASTED A LIFETIME? Ageism is the last taboo, so how can we collectivey influence the intergenerational divide and challege the often negative narrative we see all around us? Join us for a day of provocation, inspiration, discussion and networking. This event is part of the Age of Creativity Festival and suitable for colleagues from arts, culture, health, care, age, academic, community, public and private sectors with an interest in creative ageing. An intergenerational project to bring children and older adults together to create and dance. BUILDING ON SUCCESS The Age of Creativity Festival moves to the full month of May this year. Following the success of the 2018 festival with over 300 events, we are hoping to increase that number and we are also introducing new features so more people can get involved. Please start planning events to be part of the Festival. We would be very grateful if you could share this communique with yoru networks. EMERGING COMPANY PROGRAMMING PROFESSIONAL CLASSICAL MUSIC FOR PEOPLE WITH DEMENTIA NEEDS MORE VENUES London based Songhaven gives people living with dementia (and their carers and companions) the dignity of high-calibre professional music concerts. It prides itself on its warm and relaxed atmosphere where audience members are welcome to sing along and move to the music. Its post-concert afternoon teas provide an opportunity for conversation - performers mingle with audience members and it always takes note of song requests for future programmes. LIVE QUESTION AND ANSWER SESSION. As part of the Age of Creativity Festival we are hosting, with others, a live Facebook session where you can find out what it takes to become Age Friendly. Silver Sunday has produced a really useful Toolkit for those wanting to plan an event on Sunday 7 October. It's useful for anyone organising an arts event at any time. Sonia York-Pryce presents a visual documentation celebrating the mature dancers corporeal difference highlighting their practice rather than their age defines them. 8 dancers 4 from Sydney and 4 from London interpret Sonia's dance motif creating an embodied dialogue of movement. From 18th-21st January 2018, Artichoke staged a second edition of light festival Lumiere London. We aimed to make the festival enjoyable for all ages, and to create an atmosphere that older people, who might not normally engage with such activity, could enjoy. 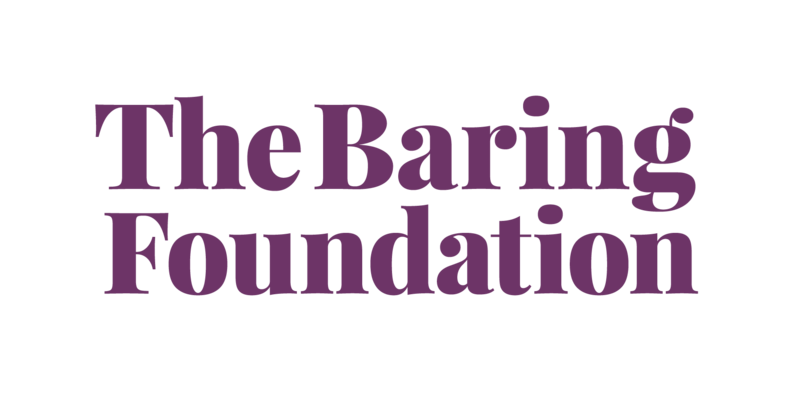 Artichoke was grateful to receive support from The Baring Foundation in this endeavour. The Royal Exchange will be buzzing with workshops, performances, discussions and activity. All events are free (some drop-in but others require advanced booking). Everyone is welcome to drop into our building at any point between 11am and 5pm to see what is happening, take part or join the conversation. Join a live social media debate every day throughout the festival, instigated by powerful provocations written by leading experts from arts, culture, health, wellbeing and academia. To mark Older People in Museums Day and Silver Sunday, this museum session will use the painting of Oxford High St. by JMW Turner to inspire reminiscence and conversation about Oxford High St. and how we used to shop. The Sensory Trust are making a Fun Palace this year, working in collaboration with the brilliant Potager Gardens and case, home of one of our dementia friendly activity groups, the Potager Peas, who meet fortnightly at Potager. A clownish trio undertake a new job - packing a lifetime of Mrs Brewster's objects. Unearthing a hidden suitcase filled with memories, we venture through time as her past springs to life. This intimate seminar will examine the UK demographic, present topical research and examine the intrinsic value of arts and culture in relation to physical and mental wellbeing in later life. Experience The Garden: an immersive performance for people with dementia and their carers taking place at Jacksons Lane, London. Bringing the outdoors in, The Garden will take you on a multisensory journey through the seasons, inspiring your imagination and awakening your senses. Join us on Sunday 1st October for Silver Sunday, an annual day of fun and free activities for older people across the UK, led by The Sir Simon Milton Foundation, featuring free dance classes for older learners. For people supporting or working with older people, building their confidence in getting people singing and connecting in community settings. 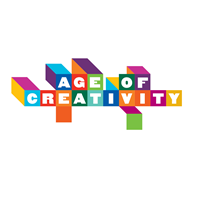 The Age of Creativity Festival headline event includes Caroline Abrahams (Age UK), Darren Henley (Arts Council), David Cutler (Baring Foundation) and Penny Thewlis (Age UK Oxfordshire) followed by best practice examples from across England.